I finally have a roundup of my picks from the Chanel Spring-Summer 2018 Collection! I ordered a few items sight unseen from the Chanel website and overall the colors have a summery vibe with lots of brights. I skipped quite a few items as I can’t really pull off greens or yellows very well and some of the lip options seem very bold and red. Up first is my favorite item of the collection which is the Joues Contraste blush in Foschia Rosa. It’s a medium bright coral that brightens the face with a very nice flush. It’s not too dark and not too bright for my skin tone but I do apply with a light hand. It has a soft smooth texture in the US blush formula (non-US countries usually have a baked version for the Chanel blushes). There’s a tiny sheen but it’s pretty much a satiny matte. Next are the lip products. I’m already a fan of the Rouge Coco Gloss formula (other shades reviewed here). They’re cushiony high shine glosses with a sponge applicator. There’s no detectable scent and the shades are so so pretty! I love all the new spring shades although the blue one is pretty much clear. Colors are sheer with a subtle tint of color. Scroll down a little and you will see some swatch comparisons. 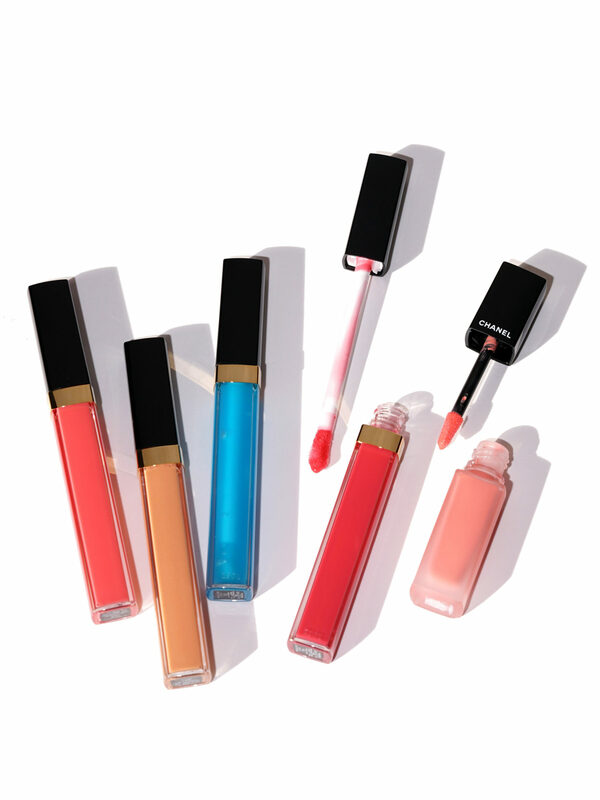 There are similar options in the existing Rouge Coco Gloss lineup. You might want to shop your stash if you already own some of these. There are also new shades of Rouge Allure Ink and even though I’ve never had much luck with this formula I still ordered one in Eterea which is a light but bright pink if that makes sense. I’m obsessed with the color although it is very streaky when I apply it. It needs some layering and drying to make it smooth but the color is so good I’m determined to make it work! Last but not least are the Le Vernis nail products. There are four colors total and I bought three. Nuvola Rosa is hands down a must! It’s one of the prettiest baby pinks I’ve ever tried and it has full smooth coverage with 2 coats. Verde Pastello is a fun aqua color I think will be nice for toes but to me this is definitely more of a summer color rather than spring. Arancio Vibrante is a very bright deep orange color and the formula on this is amazing – it’s a one coat wonder, but I still usually always apply 2. Two coats in each swatch photo. For reference you can see my How I Maintain Hands for Healthy Looking Nails post for my DIY tips and tricks. I don’t wear a lot of nail polish like I used to but I probably get salon manicures once every other month now. The rest of the time I trim and cut myself and paint them on my own. Quick tip – my favorite brush to apply super pigmented blushes is the Wayne Goss #11 because it’s fluffy enough to pick up color but give a sheer application. 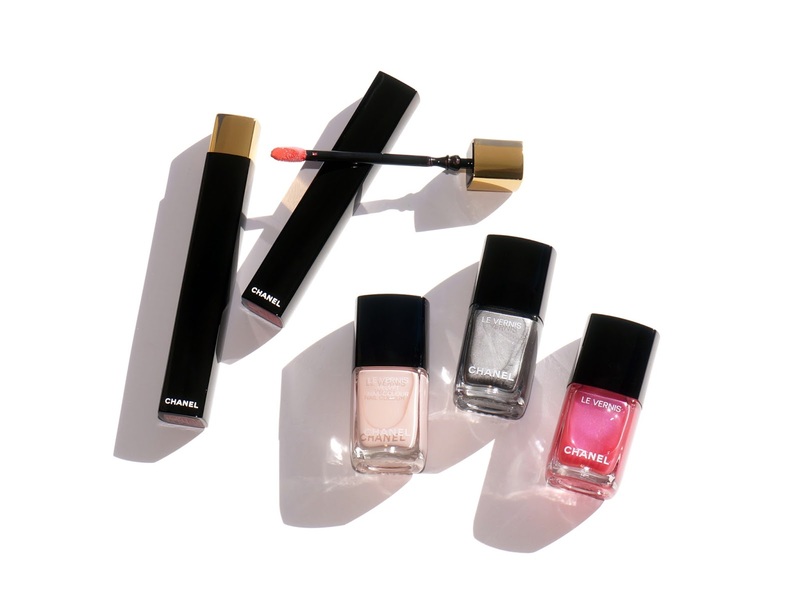 My ABSOLUTE fav items are the Joues Contraste Foscia Rosa and Nuvola Rosa nail polish. I highly recommend both! Most of the collection is limited-edition. You can always see the indicators on the Chanel website if you’re unsure but these days I usually assume most everything is limited-edition. You can find the Chanel Spring-Summer 2018 collection at counters now. 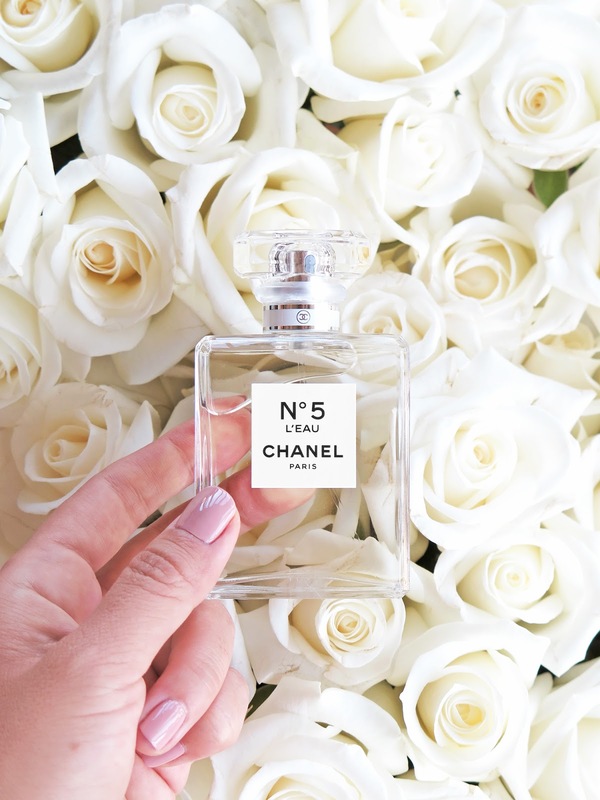 Online at Chanel, Neiman Marcus, Nordstrom and all other Chanel retailers. There’s also a Denieres Neiges de Chanel collection out which I’ll review soon!